CAIRO: “The [women’s] quota [gave me the opportunity] to run as a representative of Assiut in the People’s Assembly (PA) because I’m competing against women,” Mona Al-Qurashi, member of the executive bureau of Al-Wafd Party and one of it’s MP candidates, told Daily News Egypt. -Qurashi is one of more than 1,000 female candidates currently competing over the 64-seat quota reserved for women in the upcoming parliamentary elections, scheduled to take place on Nov. 28. In addition to all the new competition, Al-Qurashi has faced other obstacles as a female candidate representing a conservative, male-dominant district in Upper Egypt. Al-Qurashi’s name and reputation helped people accept her as a female candidate in spite of their conservative views. Meanwhile, Manal Abul Hassan, a Muslim Brotherhood-affiliated independent female candidate, is hoping to compete in the Nasr City district against Minister of Petroleum Sameh Fahmy without the help of the women's quota. 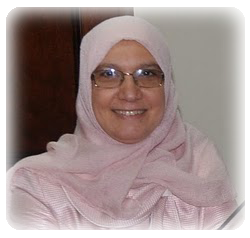 “Until now, [I have not been] included in the women’s quota,” Abul Hassan, also a professor of mass communications at Sixth of October University, told Daily News Egypt. Abul Hassan said that there has been “intransigence” from Egyptian officials in registering and approving her as a candidate. The names of the final candidates for each district will be announced by the Supreme Electoral Commission from Nov. 12–14. However, Abul Hassan said, there are no prejudices from Egyptian society against women participating in the political arena. “This view doesn’t exist in Egyptian society, not even in the suburbs,” Abul Hassan said. Abul Hassan said that her political campaign will be focused and oriented towards the country’s youth. According to media reports, the parliamentary race has spurred fierce competition among female candidates in the last few weeks. In Sharqiya governorate alone, 131 women from the National Democratic Party (NDP) are competing over just two seats, according to government-run newspaper Al-Gomhuria. The Qena governorate — which has not seen a female representative since the 1970s — currently has nine female NDP candidates and 16 female opposition party candidates, according to the same newspaper. Twenty-five women are competing over seats in the Qaliubiya governorate, according to the state-run Al-Ahram newspaper, and 21 women from the NDP are competing over seats in the Assiut governorate, according to the official website of the NDP. The NDP started the process of choosing its final female candidates to compete over the 64-seat quota reserved for women last Wednesday. The campaign launched by the National Council for Women (NCW) to advocate the women’s quota and support women’s participation in the political arena was received very well by Egyptians, according to Suzanne Hassan, a rapporteur for NCW's culture and media committee. Hassan said that the NCW supports women’s participation in the parliamentary elections regardless of any particular woman’s personal ideology or political affiliation. The NCW also communicates with female voters and educates them regarding the 64-seat quota allocated for women within parliament. In June 2009, Egypt approved a law that requires two PA seats go to women in 32 different constituencies — totaling 64 PA seats for female candidates — for a period of two election cycles. The law will be implemented for the very first time in this month's elections, and has already stirred controversy among Egyptian supporters and critics of the quota. “This law defies the idea of equal opportunities and turns women into an exception, the very thing we are supposed to be fighting,” Osama Heikal, deputy editor of Al-Wafd newspaper, told Daily News Egypt. “A candidate should be nominated because he or she is best qualified for the position — whether it is a man or a woman,” he added. Farkhonda Hassan said that this law is a temporary solution to give women the opportunity to prove themselves as powerful representatives in the political arena, paving the way for people to start nominating women on their own free will. Kazziha added that the electoral system won’t allow a large number of women to be elected from opposition groups, which hinders the political balance. “The structure of power behind the electoral process favors the NDP,” said Kazziha. د. منال أبو الحسن، مرشحة مجلس الشعب 2011 عن دائرة مدينة نصر-فئات. مدرس بجامعة 6 أكتوبر كلية الإعلام وفنون الاتصال، وجامعة الأزهر كلية الدراسات الإسلامية شعبة الصحافة والإعلام. المدونة الرسمية للدكتورة /منال أبو الحسن Manal Abul-Hassan Official Blog. المظهر: نافذة الصورة. صور المظاهر بواسطة Jason Morrow. يتم التشغيل بواسطة Blogger.